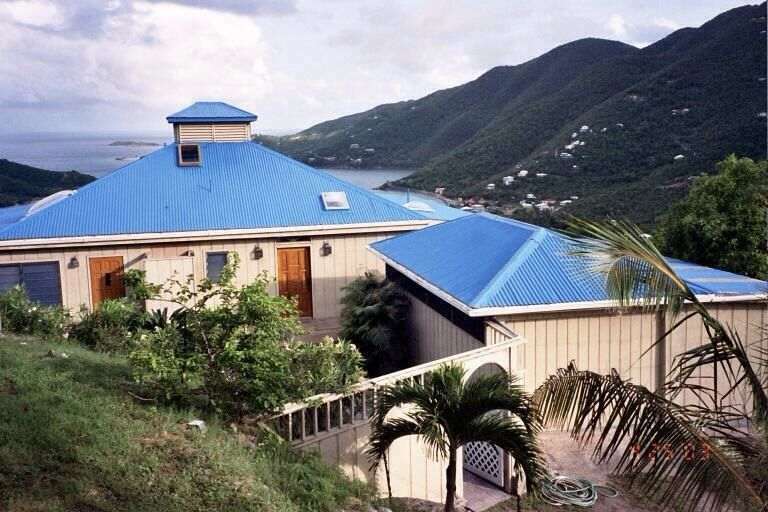 Bask in St John’s natural beauty from this relaxing 3 bedroom home overlooking the harbor of Coral Bay. 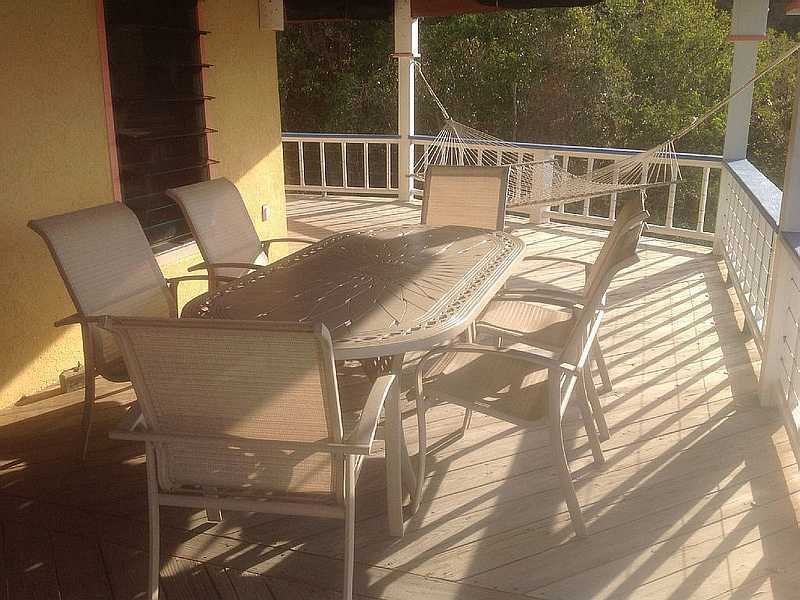 This vacation rental is conveniently located at the end of a private and well maintained road. 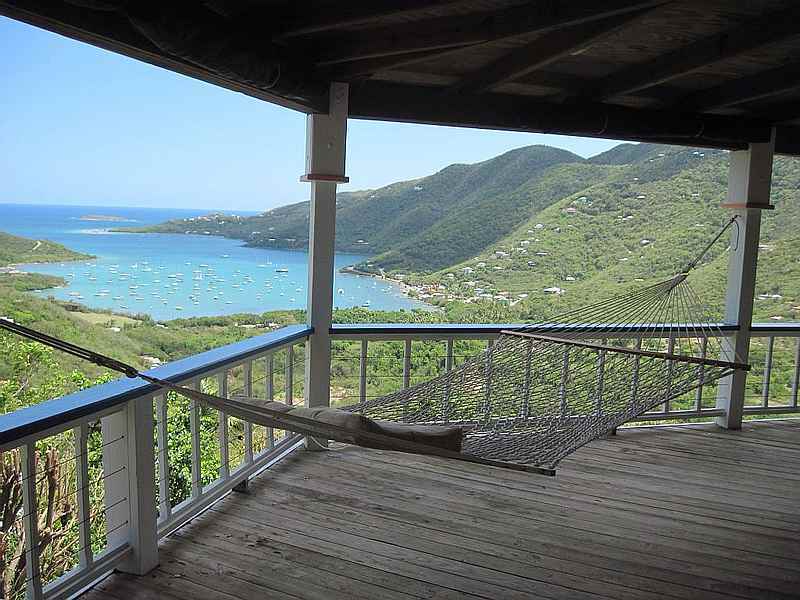 It’s a perfect retreat after enjoying all that St John has to offer. Flat Parking Area. Wheelchair Accessible from drive way to front door and all of first floor on one level including master bedroom and bath. 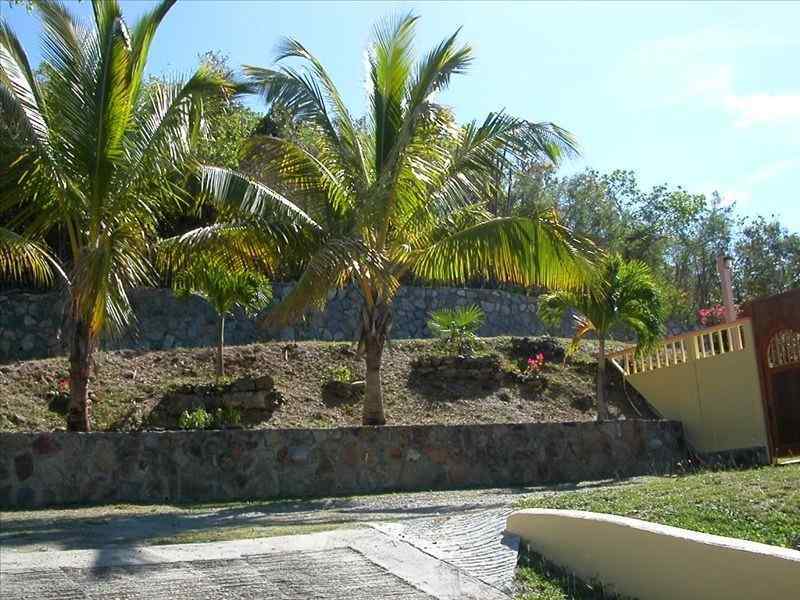 Only a short drive to the beautiful North and South Shore beaches, less than a 1/2 mile to grocery stores, restaurants, and shopping in Coral Bay, and a 25 minute drive to Cruz Bay. 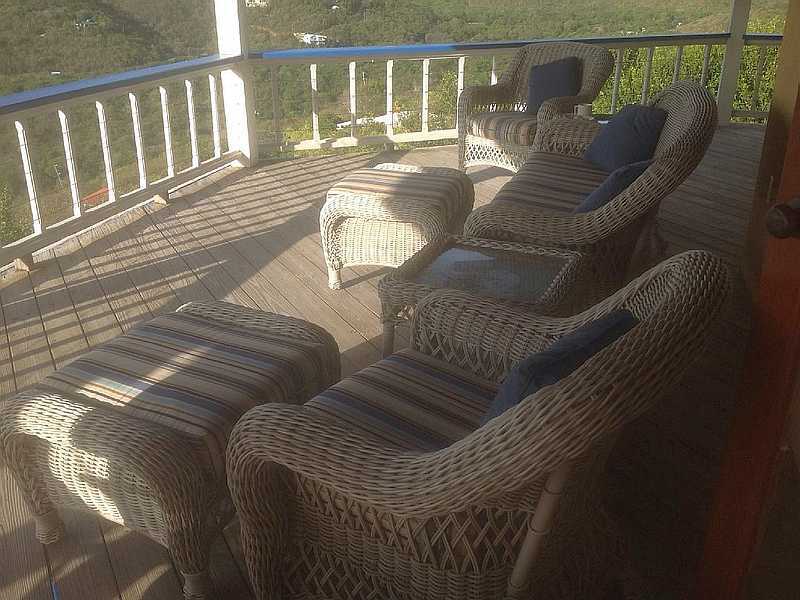 Coral Rhapsody seating for six out on the deck. 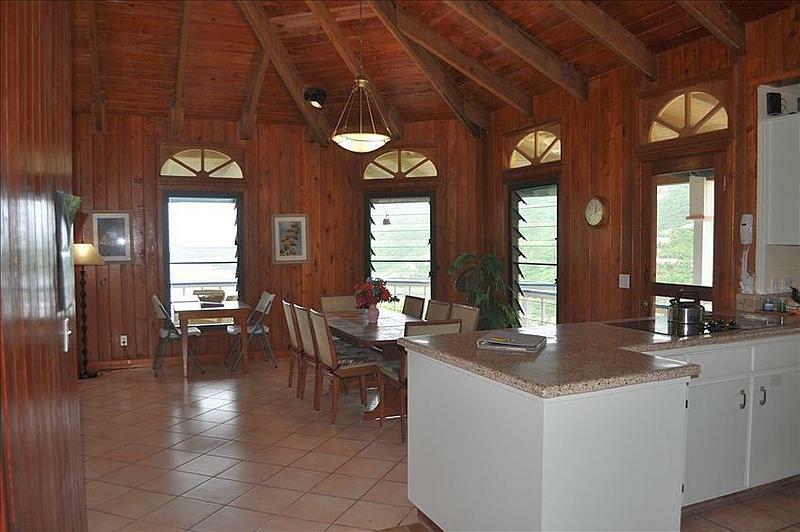 Coral Rhapsody is a comfortable and spacious house featuring wraparound porches from both of its upper and lower levels. 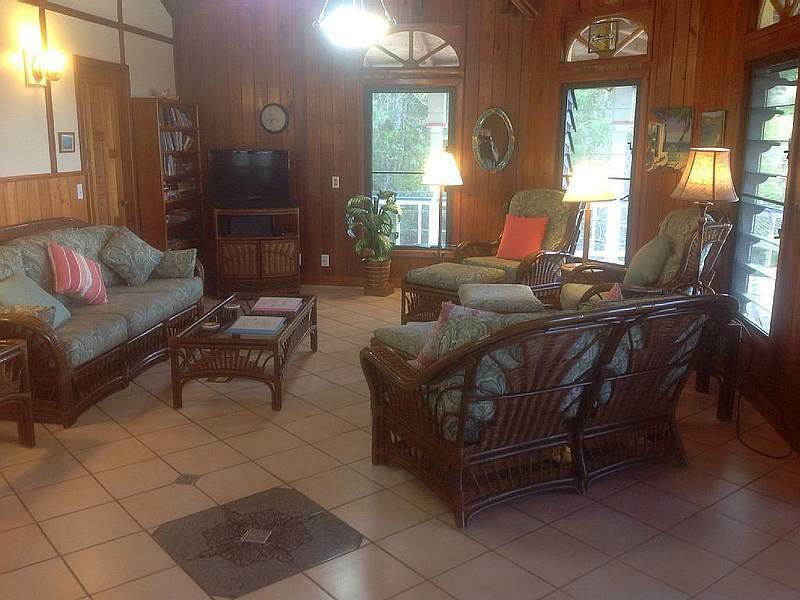 Upstairs offers a well appointed kitchen, large dining and living area, and master bedroom. 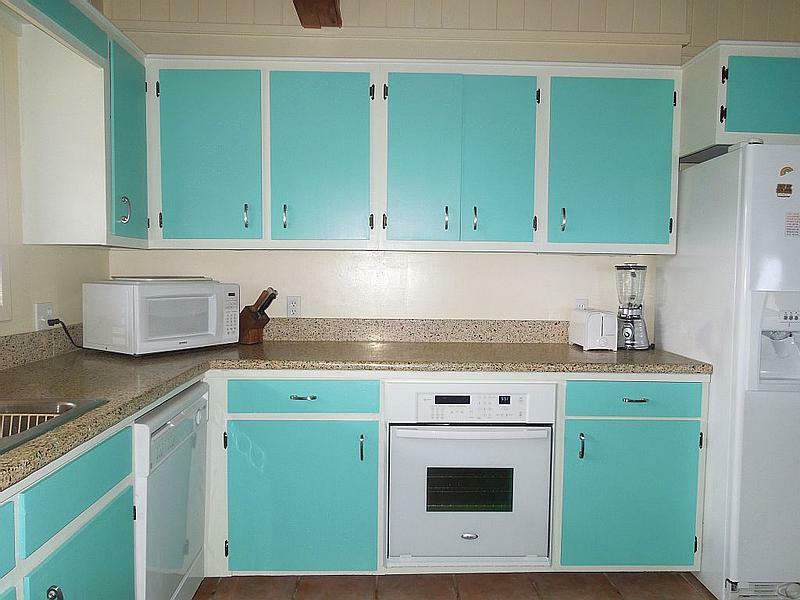 Coffee Maker, Cooking Utensils, Dishes, Dishwasher, Ice Maker, Microwave Oven. Everything you can imagine as the family lives here part time. 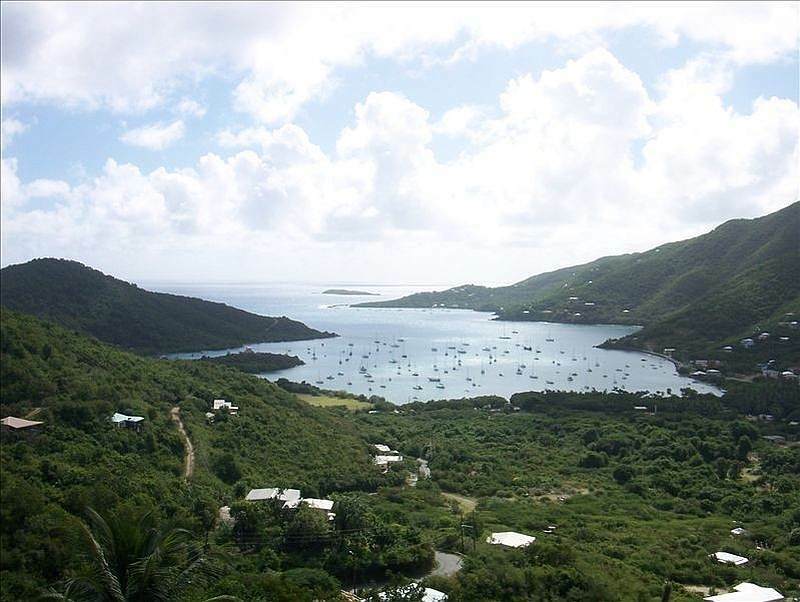 Add Virgin Island Hotel Tax 12.5% to all rates. We do not accept credit cards, personal checks only. A 50% deposit will be required at the time of booking with the remaining balance due 30 days prior to arrival date. Our cancellation policy is, before 60 days of arrival date, 80% refund of entire rental amount; after 60 days, no refund unless we can re-rent for the exact dates minus 20% of entire rental. Upstairs Master bedroom has a superior Queen bed, and full Bath. Bathroom 2 is on main floor, powder room has toilet and sink. 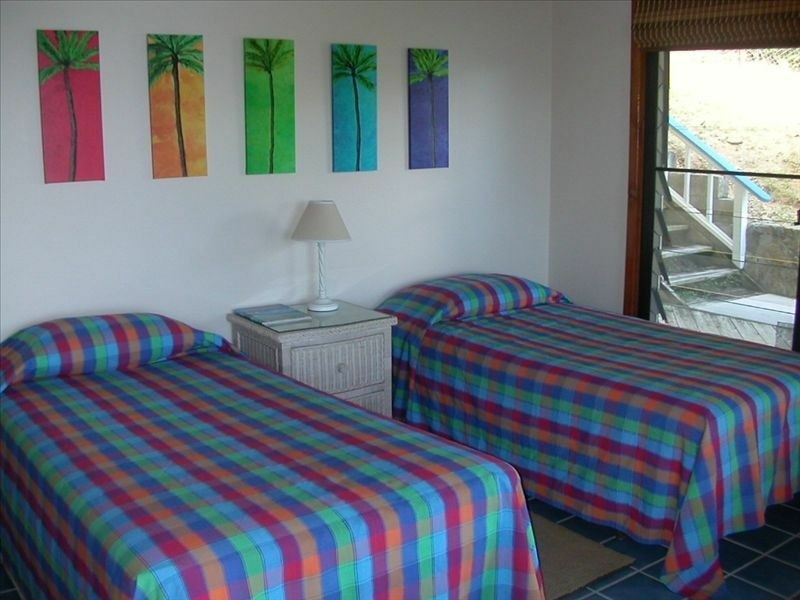 Bedroom 2 has superior queen bed, bedroom 3 has 2 twin beds or 1 king size bed. King size bed is VERY comfortable with memory foam topper for great comfort. Bathroom 3 is downstairs. 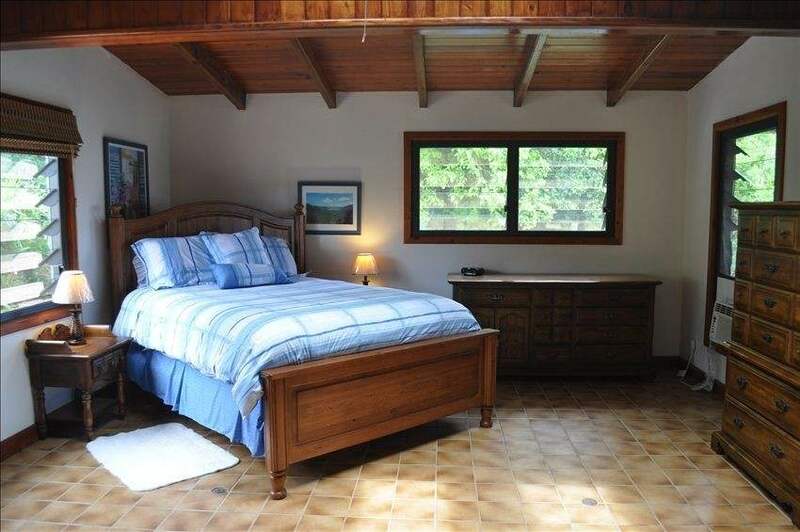 Upstairs Master Bedroom, private bath and entrance. 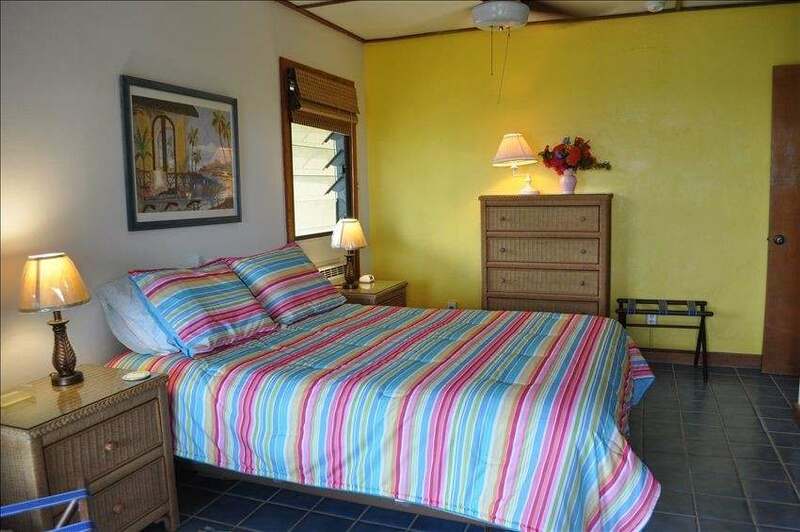 Downstairs are 2 bedrooms, 1 with a queen size bed shown above and the other with 2 twin beds or 1 king size bed. King size bed is VERY comfortable with memory foam topper for great comfort. 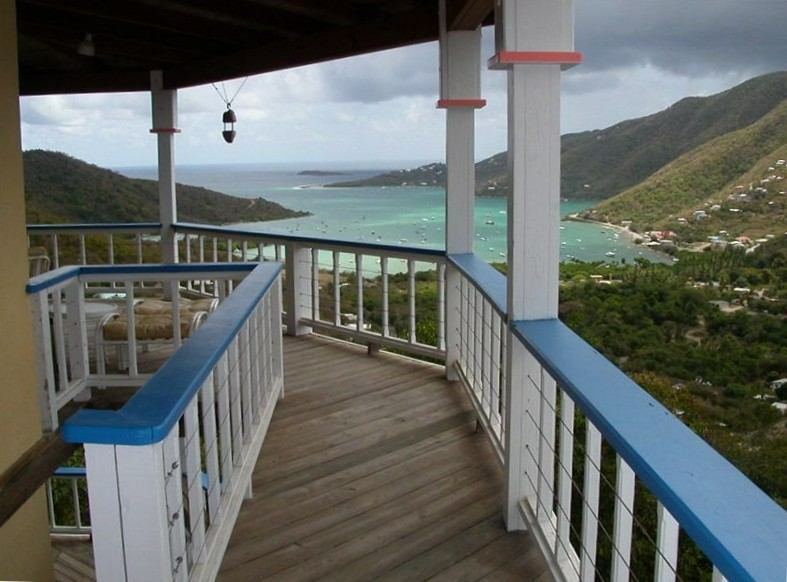 Escape the Cold and Enjoy Coral Rhapsody your Coral Bay Vacation Home.